Bill Bellmer, member of the Village of Garden City Planning Commission, forwarded this week's Mystery Foto. 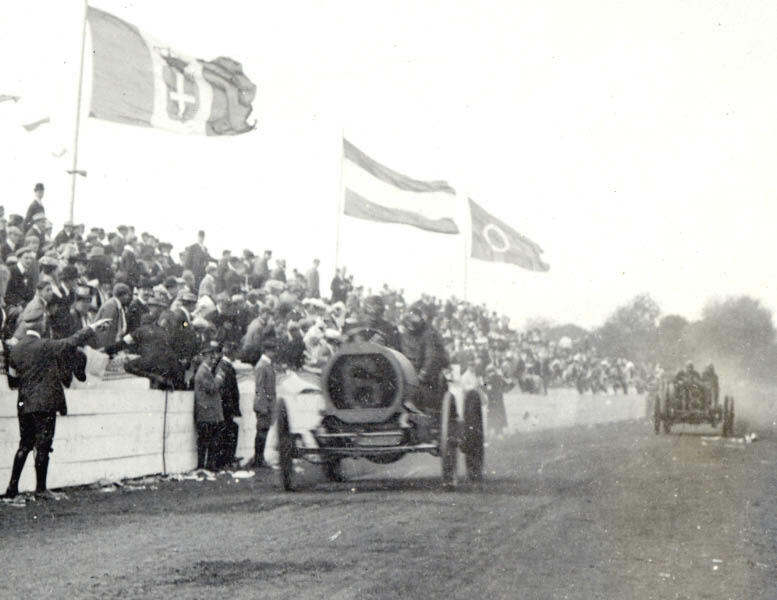 This never before published image is courtesy of the Garden City Village Archives. -Identify the car and driver. 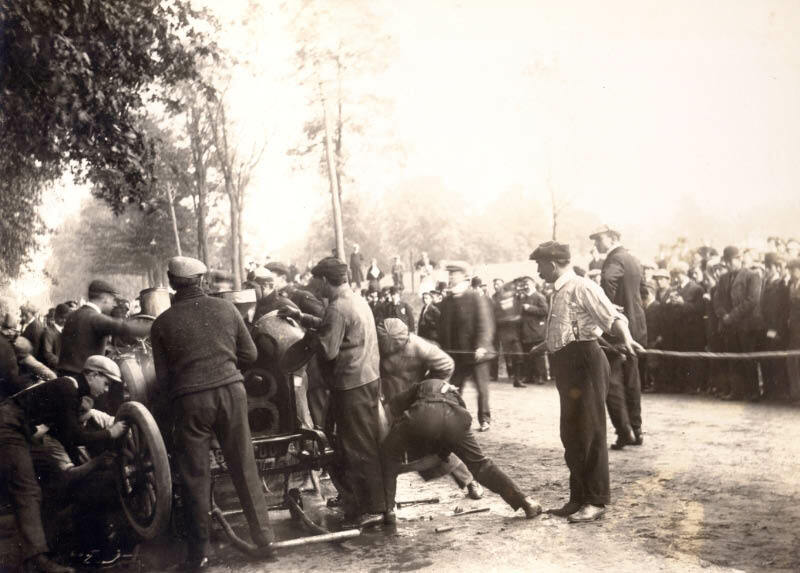 #18 Lorraine-Dietrich driven by Arthur Duray and his mechanician Franville. 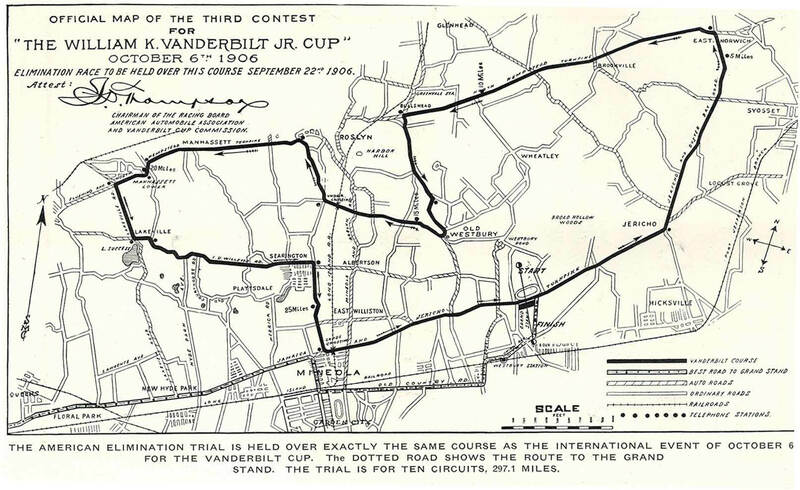 -Identify the Vanderbilt Cup Race. -Bonus: Provide your best guess of the photo's unknown location. Greg O. :I’d place this at the last right-hand turn (near Red Ground Road today) at the telephone station just before the hairpin turn at Wheatley Rd/Old Westbury Rd in Old Westbury. Steve Lucas: First, the Westbury hairpin turn but that was too severe for today’s scene. Next, from I. U. Willets Road onto Willis Avenue, but that probably was not rural enough for today’s mystery. Therefore, I think today’s mystery location is at the western section of I.U. Willets Road soon after the drivers had left Lakeville Road and headed east where there was another right-hand turn. Ariejan Bos: The car just passed a bend to the right on a seemingly rather straight part of the circuit. There is another photo shot at exact this location (showing Luttgen with his Mercedes), but probably there will be more. 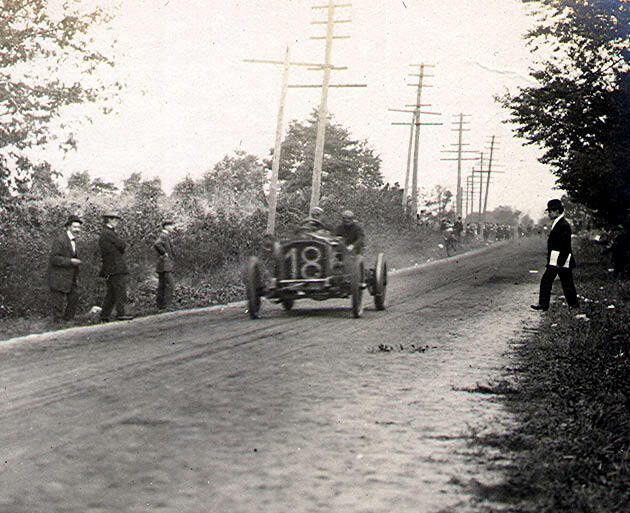 The electricity poles are similar to the poles alongside Jericho Turnpike at Krug’s corner, so possibly this bend is somewhere between Krug’s corner and the finish. Congrats to Greg O., Steve Lucas, Frank Femenias, and Ariejan Bos for identifying Duray's Lorraine-Dietrich. 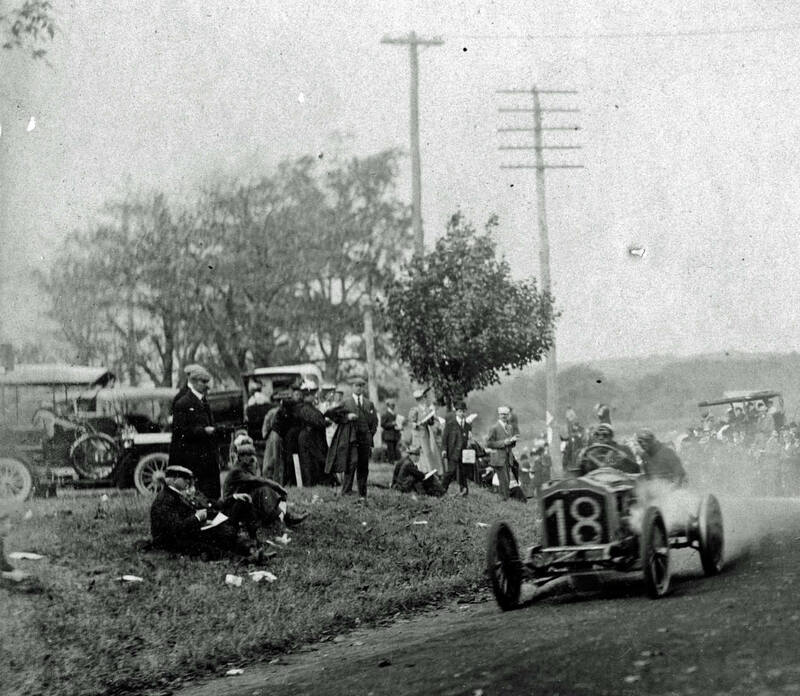 Hairpin Turn on Wheatley Road and Old Westbury Road in Old Westbury. 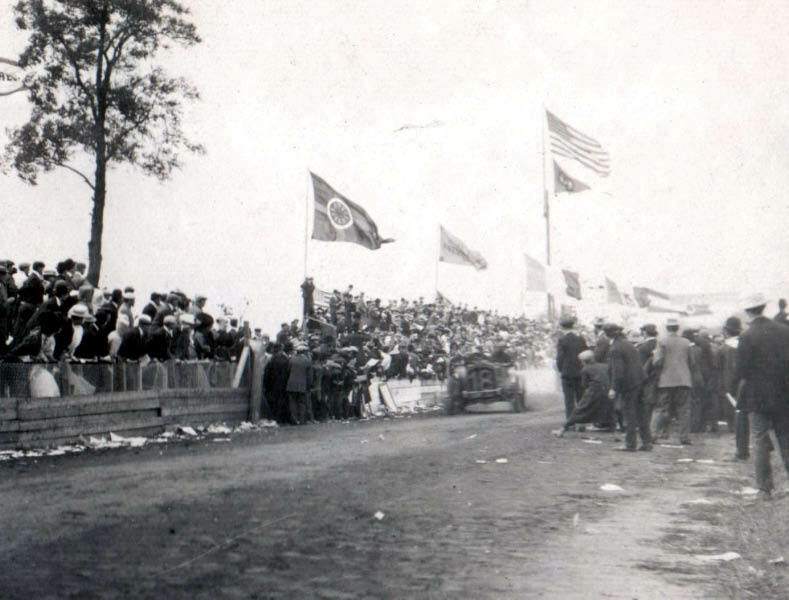 The story behind the most dramatic image of the Vanderbilt Cup Races. Old Westbury Road in Roslyn. Note the parked train on the right. Krug's Corner on Willis Avenue and Jericho Turnpike in Mineola. Changing a tire at an unknown location. Unknown location with telephone poles on the left. 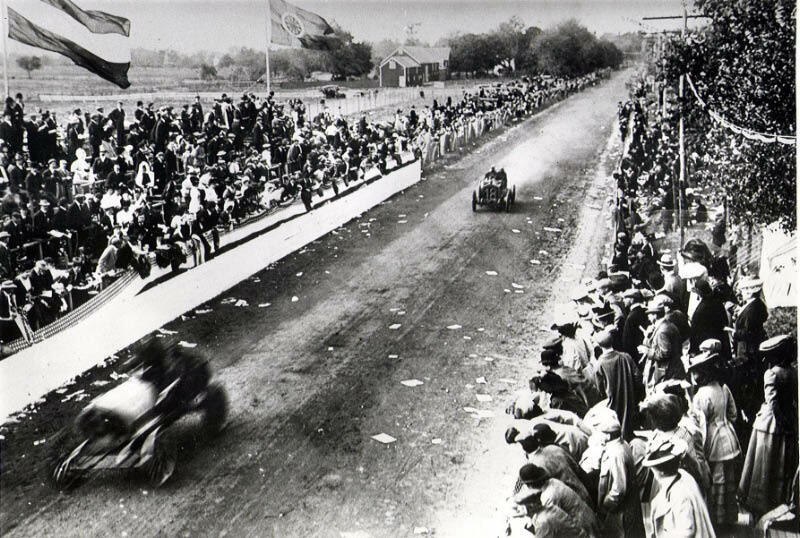 Arthur Duray driving the Lorraine-Dietrich can be seen at the 1:18 mark of the 1906 film. Great location suggestions going here. 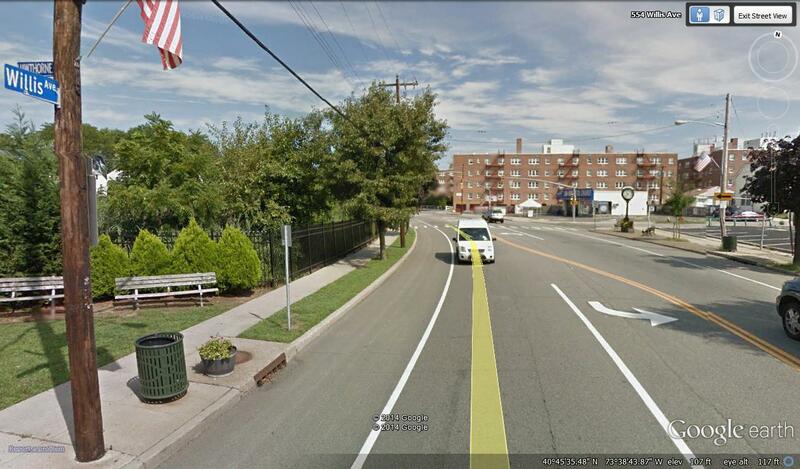 Greg's Mineola Ave and Old Westbury Rd puts the utility poles at almost exact! Especially the two single bar poles on the left of the pic. The turn at the intersection though appears too sharp (approx 100deg). The Willis Ave and Dartmouth's curve looks similar. Are there any other photos taken from same photographer that day? If a pond can be seen on the left where the cars are parked on the grass, then location most likely would be Willis and Dartmouth. The gated pond is still there today. 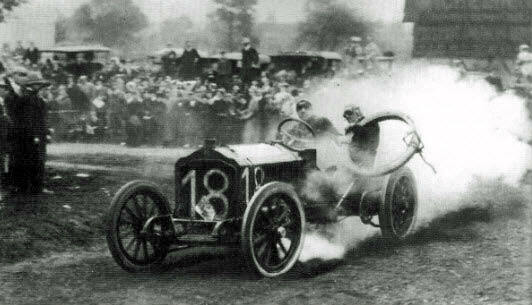 Victor Hemery, Darracq, 1905. 1st Place. As for where, I really have to study some other pictures. This is most likely not the only picture this photographer took that day. -Bonus: Provide your best guess of the photo’s unknown location. 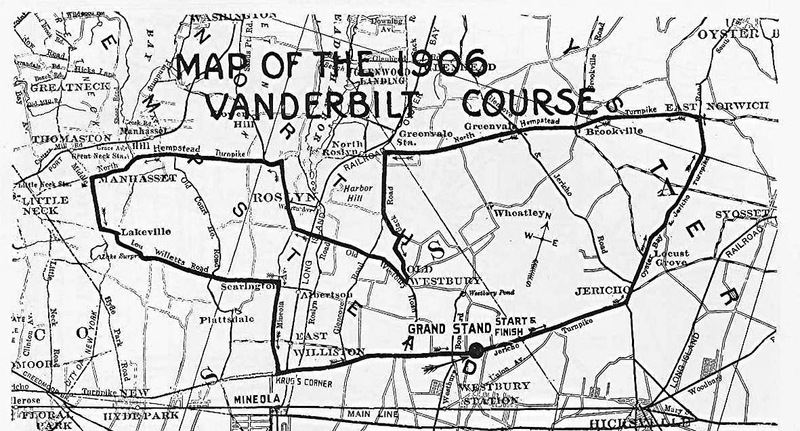 Looking at the official 1906 course map, and judging by the electric/telephone wires and scenery, I’d place this at the last right-hand turn (near Red Ground Road today) at the telephone station just before the hairpin turn at Wheatley Rd/Old Westbury Rd in Old Westbury. 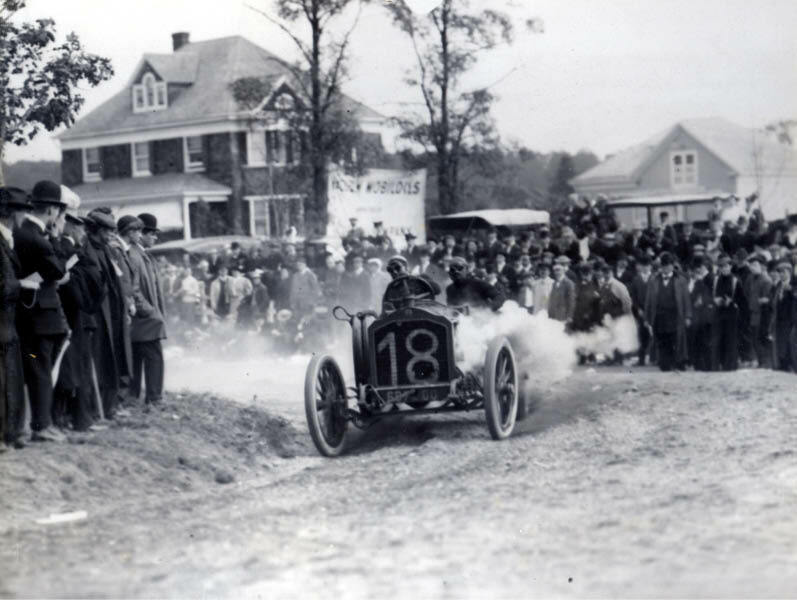 I believe this is the French Lorraine-Dietrich car driven by Arthur Duray in the 1906 Vanderbilt Cup Race. Since the course went mostly in a counter-clockwise direction, most of the turns were of the left-hand variety. There were a few possible right-hand turns for today’s mystery photo, however. 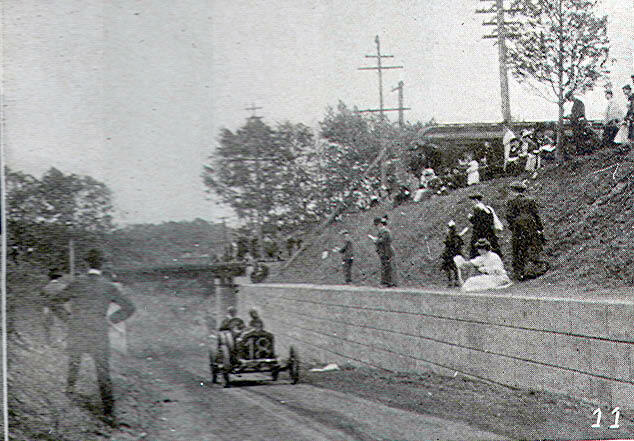 First, the Westbury hairpin turn but that was too severe for today’s scene. Next, from I. U. Willets Road onto Willis Avenue, but that probably was not rural enough for today’s mystery. Therefore, I think today’s mystery location is at the western section of I.U. Willets Road soon after the drivers had left Lakeville Road and headed east where there was another right-hand turn. 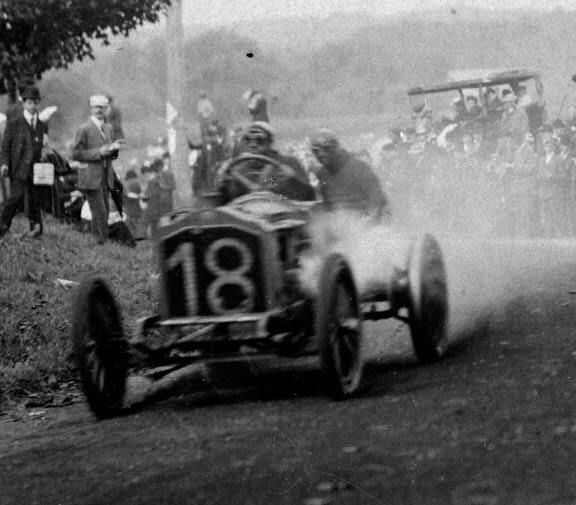 The photo shows Arthur Duray with his Lorraine-Dietrich during the 1906 Vanderbilt Cup race. The location is somewhat more tricky. The car just passed a bend to the right on a seemingly rather straight part of the circuit. There is another photo shot at exact this location (showing Luttgen with his Mercedes), but probably there will be more. 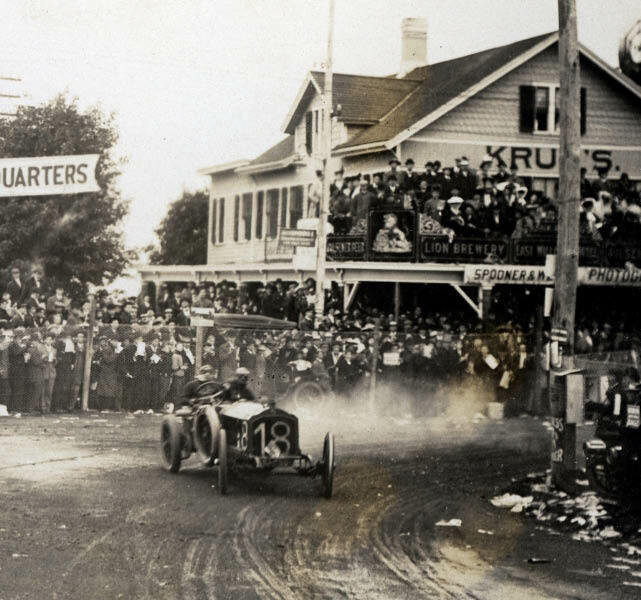 The electricity poles are similar to the poles alongside Jericho Turnpike at Krug’s corner, so possibly this bend is somewhere between Krug’s corner and the finish. Oh well, I didn’t get a chance to get back to this, but one of my choices was right, for the car and driver anyway. Howard- What’s YOUR best guess as to the photo’s location? Greg, at first I thought it was the Hairpin Turn. But, Bill Bellmer correctly noted the arrangement of the telephone poles was different than those seen at the turn. 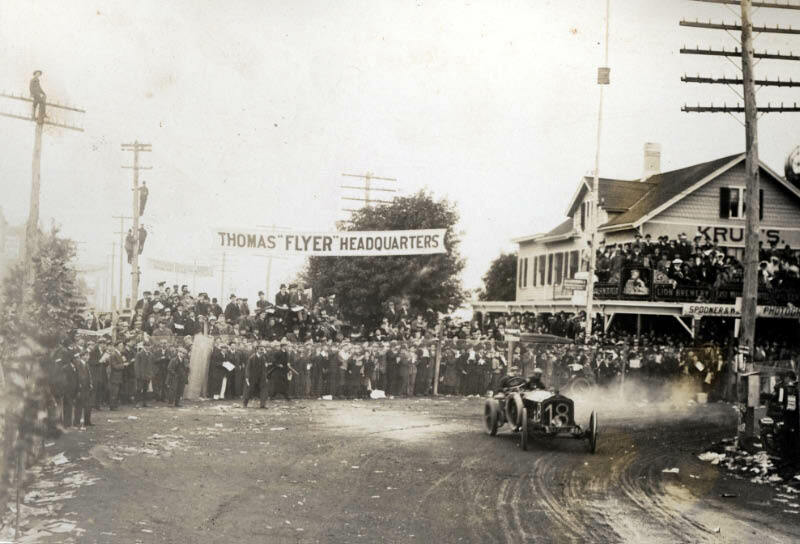 It may be somewhere on Old Westbury Road near a major intersection that attracted the crowds. Taking another look at this, my second guess would be the right turn from Old Westbury Road just after the LIRR overpass. 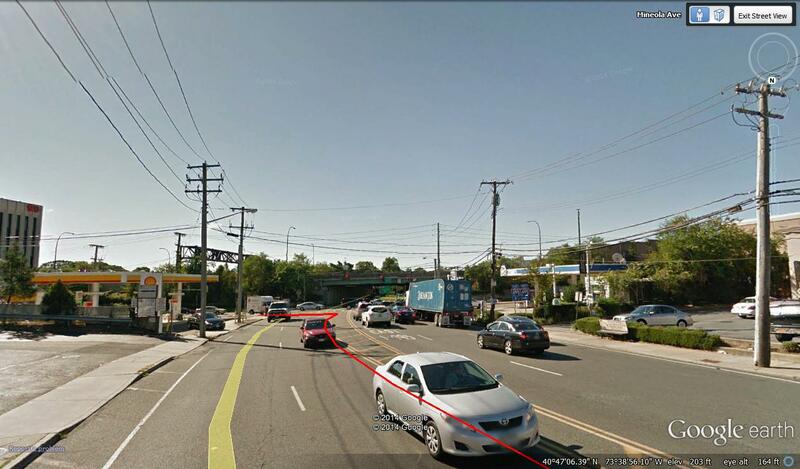 The picture of Old Westbury Road in Roslyn, which i think is now Powerhouse Road service road along the LIE… my question is that when I look at the train, i wonder why it is so much higher than the track….where is the overpass ?? That sepia shot of the errant spare is a new one on me; adds to the high drama! “Old Westbury Road in Roslyn. Note the parked train on the right.” / “when I look at the train, i wonder why it is so much higher than the track”. Is it higher, or (far more likely) merely on a spur ending closer to the camera? Pic. #11 also new to me; please tell us more about that long cut-stone (or grooved concrete) retaining wall. “Changing a tire at an unknown location.” Again unlikely. What are the odds of a tire change off somewhere with a heavy jack stand handy; that’s probably in the pit area, somehow.